The Redwood Empire Baseball League is one of the most experienced leagues in the MSBL family of over 325 leagues from around the country. 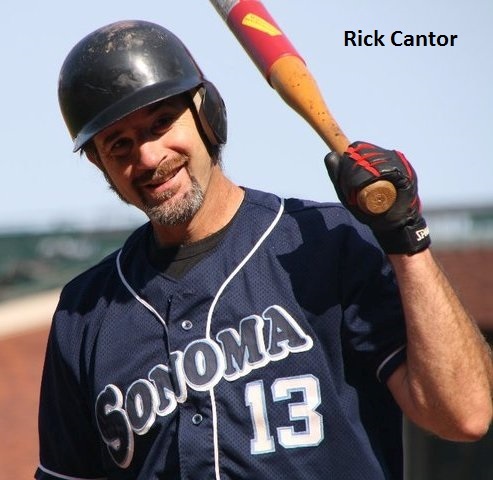 Formed in 1990 in Santa Rosa, California this powerhouse league is under the guidance of Rick Cantor, who has held the position of president the past 16 years. “We had a president who was removed after two years and nobody volunteered to take over so I jumped in to ensure that the league would continue. 2018 will be our 29th year and we’re very proud of that,” explained Cantor. Because of Rick’s dedication, league growth and member participation in the various MSBL national tournaments, MSBL Founder and President Steve Sigler has designated the Redwood Empire Baseball League as the ‘League of the Month’ for April. Redwood Empire proudly hosts the annual ‘Day at the Coliseum’ that takes place at the Oakland Coliseum, home of the Oakland A’s. Started in 2005, the day pits league players against one other in an exhibition in a major league ballpark just for the love of the game. Just like the old days of ‘flip the bat’, players pay a fee for the park rental, they choose sides and they play ball. You can click on the picture above to see some highlights from the 2017 edition, thanks to Jeff Lowery and APN Video. Do you have any advice for potential league presidents? “First, realize that’s it’s a beautiful thing you’re doing in volunteering your time to run a league that is so important to so many people. You’re providing a very large service to your local community and you should be proud of that.